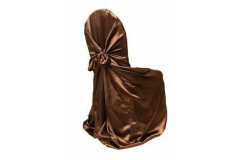 each measures approximately: 55 long x 47 wide material: satin this cover will fit various size chairs: folding, banquet, round, flat, square top. as long as the width / height is smaller than the cover itself, it'll fit inside. 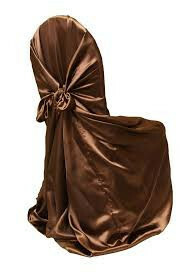 sash suggestions: white, ivory, black, burgundy, gold, silver, pink.